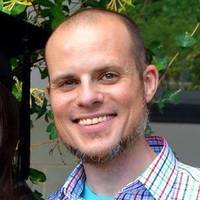 ← Theological disagreement or a difference in the use of terms? 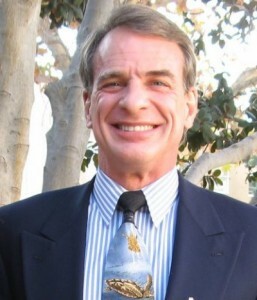 A few years ago, I became aware that William Lane Craig no longer affirmed the principle of alternative possibilities (PAP), although he continued to work within the framework of Molinism. That prompted me to write a blog post asking: “W. L. Craig’s understanding of freedom: Molinism or monergism?” A few people contributed helpful comments on that post and it is obvious that some others share my interest in this area of theology. Since writing my post, I have come across nothing more in the teaching of W. L. Craig to advance my understanding of his perspective, but earlier this year William Tanksley Jr. drew to my attention a very helpful paper by Neal A. Tognazzini, on “Understanding Source Incompatibilism.” The paper provides no arguments either in favor of or against source incompatibilism, but it considers four formulations of source incompatibilism (SI) which Tognazzini believes muddy the water by compounding it with other forms of incompatibilism, and then he offers his own trimmed down formulation, which is as follows: “Incompatibilism is true because determinism rules out sourcehood, which is required for moral responsibility” (15). In Tognazzini’s view, source incompatibilism is “a certain type of incompatibilism insofar as it identifies a particular reason for thinking that the incompatibilist thesis is true” (15). As such, it is distinct from other types. These include: “leeway incompatibilism” (LI), which asserts that “Incompatibilism is true because determinism rules out the ability to do otherwise, which is required for moral responsibility” (13); and “ultimacy incompatibilism” (UI), which states that “Incompatibilism is true because determinism rules out ultimacy, which is required for sourcehood, which is required for moral responsibility” (17). Tognazzini notes that the different varieties of incompatibilism are not mutually exclusive, and I think his proposed formulation of SI is very helpful. Upon rereading the statements of W. L. Craig which I cited in my previous post, I can see that he is clearly affirming source incompatibilism in some form, and that he does not now combine it with the PAP as many others do. In my earlier post, I mentioned how W. L. Craig had taken me by surprise in his response to Gregory Boyd’s Open Theist contribution in Four Views on Divine Providence. He affirmed Boyd’s belief in libertarian creaturely freedom, but he denied that this entails the Principle of Alternative Possibilities (PAP), which had been Boyd’s own understanding. Craig proposed instead that a libertarian account of freedom requires only “the absence of causal constraints outside oneself that determines how one chooses,” that is, “that we have genuine ‘say-so’ about our choices” (Four Views, 225). Further reading, however, made it clear to me that Craig had definitely not come to share the position I hold, since he continued to self-identify as a Molinist, and what is uppermost in Craig’s mind is a consistent rejection of “causal determinism.” So I am now confused. It appears to me that, in rejecting the PAP as necessary to freedom, Craig has removed the only thing that constituted his model indeterministic. Like Craig, Calvinist compatibilists regularly insist that moral responsibility requires that a person not have been coerced; they must have had “say so” in the action they committed. But if, as Craig now asserts, people do not (always) have the ability to do otherwise than they do, when they choose in a morally responsible way, then the reasons for their choice lie within the person who makes the choice. A person of the quality A would do x, in circumstances y. This is what makes it possible for God to know, as part of his natural or necessary knowledge, how creatures would act in all possible situations. I wonder how content more traditional libertarians, for whom the PAP is fundamental to freedom, are going to be with Craig’s current position. I’m sorry that Greg Boyd did not have the opportunity to respond to Craig’s protest about Boyd’s defining libertarian freedom as the PAP. Boyd looked to me like an “orthodox” libertarian at that point, and Craig looks revisionist. But his revisionism has obviously not gone to the extent of making him a determinist, as the title of my earlier blog post suggested might be the case. It appears that Craig is a Source Incompatibilist but not one who affirms the PAP. I, on the other hand, am a Source Compatibilist who also rejects the PAP. As a form of incompatibilism, Craig’s position is just as subject to the grounding objection as it would be if he affirmed the PAP. But I’m struggling to grasp: (1) what it is, in his view, that makes agent causation incompatible with meticulous divine providence, and (2) what it is that constitutes the essential feature of human freedom which makes creatures morally responsible, if creatures lack the power to have done otherwise than they do. 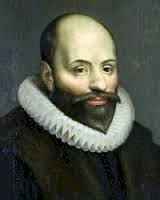 In further conversation with Molinists, I hope that this mystery will be elucidated for Calvinists like me. What allows Craig to disavow the PAP while simultaneously disavowing determinism? He posits a situation in which “God knows that in a particular set of circumstances you would undeterminedly choose to do A,” although you had no power to choose otherwise. Does he think that God would only know, in his middle knowledge, what you would choose to do, but not know that you could not choose to do otherwise? It seems to me that Craig must think this, but that seems a strange idea, given Molina’s enthusiasm about God’s middle knowledge, understood as his knowledge of what moral creatures with the power of contrary choice would do in hypothetical situations. On the other hand, if God does know, not only what you would undeterminedly choose, but also that you could not undeterminedly choose otherwise, in what sense does the “freedom” you possess qualify as libertarian? This does not strike me as the sort of freedom that Molinism has traditionally tried to preserve. This entry was posted in Divine Knowledge, Providence and tagged human freedom, incompatibilism, libertarian freedom, Molinism, William Lane Craig. Bookmark the permalink. 3 Responses to How would Molinism work without the affirmation of the Principle of Alternative Possibilities? You are correct, Angelos. The grounding objection to Molinist middle knowledge, is addressed only to a philosophy which attributes libertarian freedom (the power of contrary choice or alternative possibilities) to human beings. The objection, which I think is valid, is that it is impossible to predict what a libertarianly free human being would do in future hypothetical situations, because no decision exists to be known. and because it is impossible to deduce from perfect knowledge of the situation, together with perfect knowledge of the person, how s/he would decide and act in a future hypothetical situation. God can know the probability of a particular decision/action but if a person is libertarianly free, they can always do the improbable, however, unlikely that is. Thank you for your web-page!